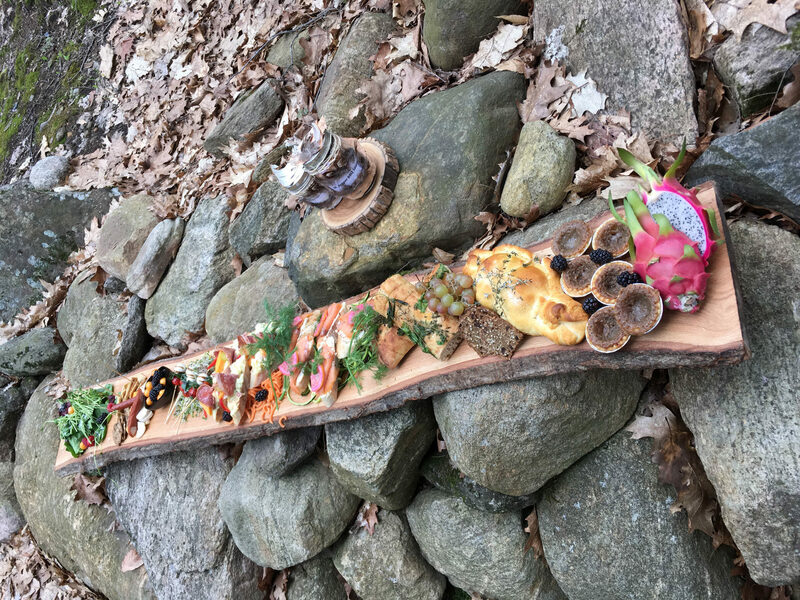 The Bohemian Caterer is dedicated to providing seasonal, beautifully presented and affordably priced menus for every Muskoka catering event. The Bohemian Caterer will also prepare foods for boat trips, hiking trails or even on a rocky point overlooking the lake. From serving gourmet sandwiches for eight to planning a dinner party from your home or a cocktail reception for 200, The Bohemian Caterer will exceed your expectations and delight your guest. Pricing can vary depending on menus chosen. The Bohemian Caterer is pleased to work with you on customized menus suited to meet your needs. Please feel free to inquire about additional menu items that do not appear on our site. We appreciate your order as far in advance as possible. We do our best to accommodate last-minute orders. Lunch orders must be placed by 2 pm for the next business day. All events booked require a 50% non-refundable deposit at the time of booking. Must reserve ASAP to be guaranteed service and to book your date. The Bohemian Caterer delivers to Muskoka and surrounding areas. A $40.00 flat travel fee will be charged. An additional charge will apply outside of the Muskoka area. Your Drop-off order will be presented on disposable platters. If specified, we will provide attractive platters for drop off catering at an additional charge. The Bohemian Caterer’s pricing includes all serving equipment, chef on site, servers and clean up. The Bohemian Caterer does not provide tableware, glassware, silverware or linens, but we will be more than happy to assist you with your need for your special day. Our professional staff, including event supervisors, chefs, bartenders and wait staff, is available upon request. We suggest additional staff for all hot food orders and receptions for 25 or more guests. For severs and bartenders only, cost is $35.00/per hour per sever and bartender. The Bohemian Caterer will help you build a custom menu for your event. For all the event needs including a wedding coordinator, décor, linens, music, equipment and floral arrangements. Please contact me for further information. All events must be paid in full the day of the event. A 50% non-refundable deposit is required at the time of booking. Deposits can be paid by credit card (additional 2.5% charge per transaction), cheque or interact E-transfer to anna@thebohemiancaterer.com. Final balance must be paid the day of the event or a $250.00 administration charge will be added to the outstanding amount. Corporate accounts are available, where you will be billed monthly, and receive a 10% discount off your bill each month. ©2013-2018 TheBohemianCaterer.com. All Rights Reserved.